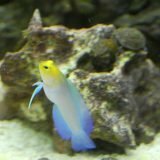 Yellowhead jawfish are KP Aquatics’ favorite aquarium fish! 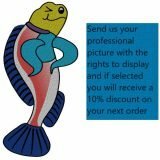 They are beautiful aquarium fish with a lot of personality. They curiously look out of their holes rearrange the rocks near by, or they gracefully hover above them, with their gown-like tail flowing. They get a long well with other fish in the aquarium, and make a wonderful addition as a mated pair. The mated pairs are adorable in an aquarium because they share a hole and act like a family together. KP Aquatics offers mated pairs of Yellowhead jawfish, but they also offer juveniles. 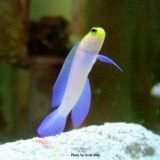 Purchasing two juvenile Yellowhead jawfish provides the opportunity for them to become a mated pair in your aquarium because the juveniles will mature into different sexes and become a mated pair. 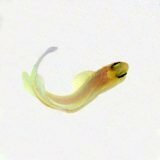 If you’re interested in spawning your mated pair in your aquarium, it’s best to feed high quality conditioning food and to keep them on a 14 hour photoperiod. 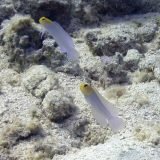 Yellowhead jawfish are mouth brooders, and you can see the eggs in the male’s mouth. KP Aquatics also offers Pearly jawfish, Dusky jawfish, Banded jawfish, and Moustache jawfish.